This corn truffle is a 100% Mexican product. It's made from the unharmfulfunghi that grows on the corn. 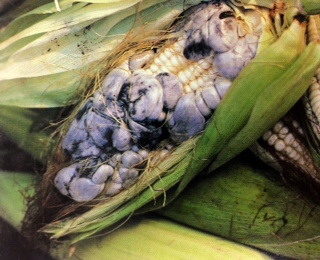 This funghi causes degeneration on the corn that produces bigger black-purple grains with a softer texture. 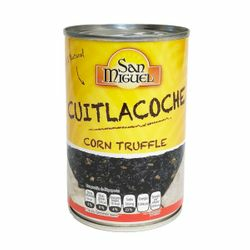 The following are some recommended ways to eat the corn truffle: Corn Truffle Tacos, Chicken Breast stuffed with Corn Truffle: Pasta with a Corn Truffle Sauce, Crepes with Corn Flower stuffing in a white sauce. 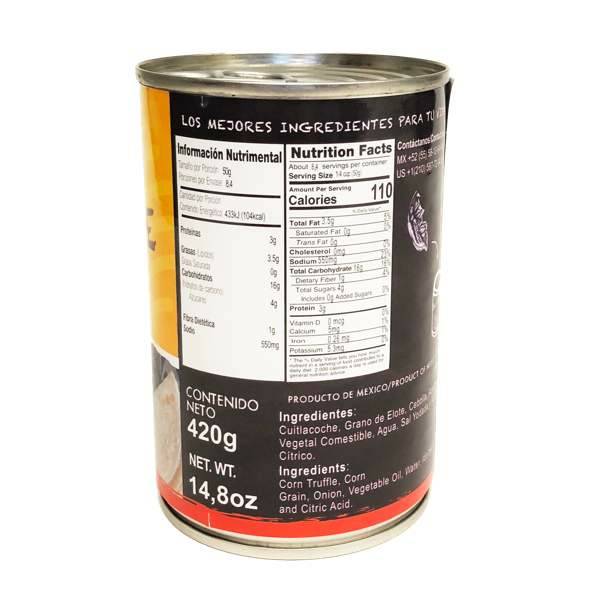 Huitlacoche is also called the Mexican caviar. This stuff is great! 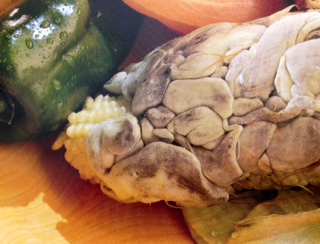 It's wonderful to have huitlacoche on this side of the border. I make huitlacoche and cheese omelets.